My post today combines the A to Z challenge but also the annual Trans Tasman ANZAC day blog challenge. 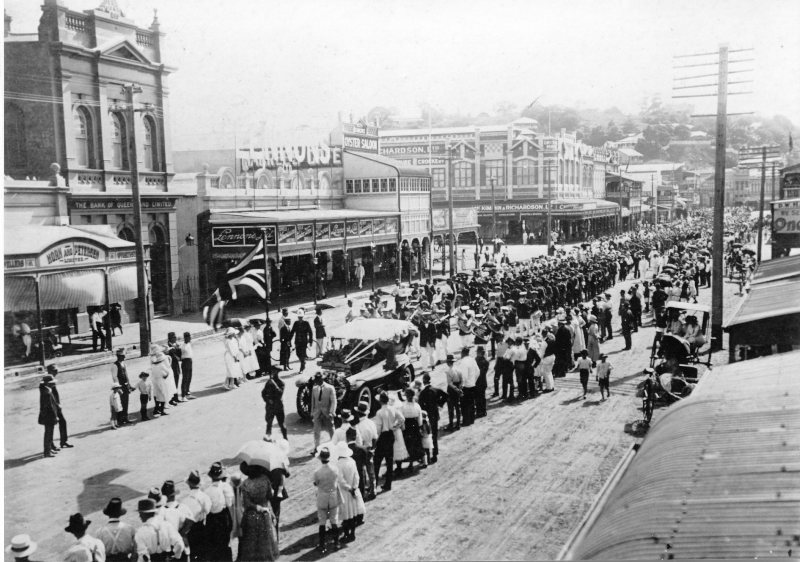 An early ANZAC Day march in Townsville, Far North Queensland 1922, from the Townsville Library via Trove. CULTURAL WARNING: This post contains images and references to deceased Aboriginal people. 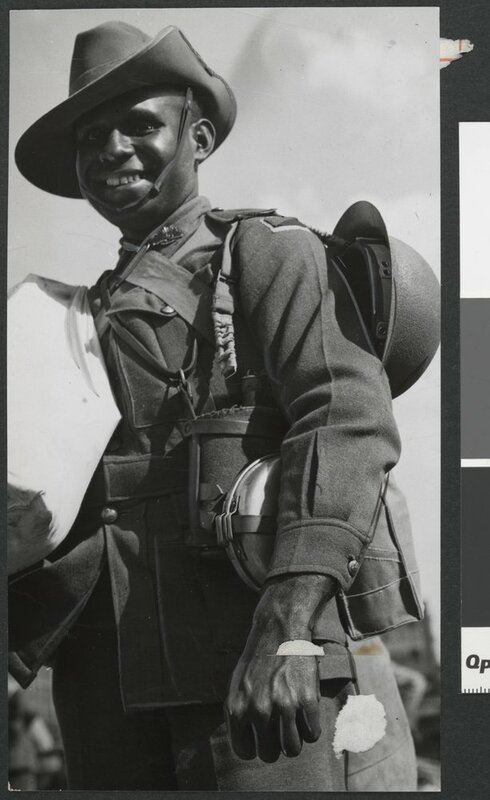 An Indigenous soldier from Thursday Island, Far North Queensland. Argus Newspaper Collection of Photographs, State Library of Victoria. Today is the 25th April, Anzac Day, which commemorates the landing of ANZAC troops on the beach at Gallipoli. For Australians this event has come to symbolise our practical emergence as a nation, only 14 years after being legally proclaimed. 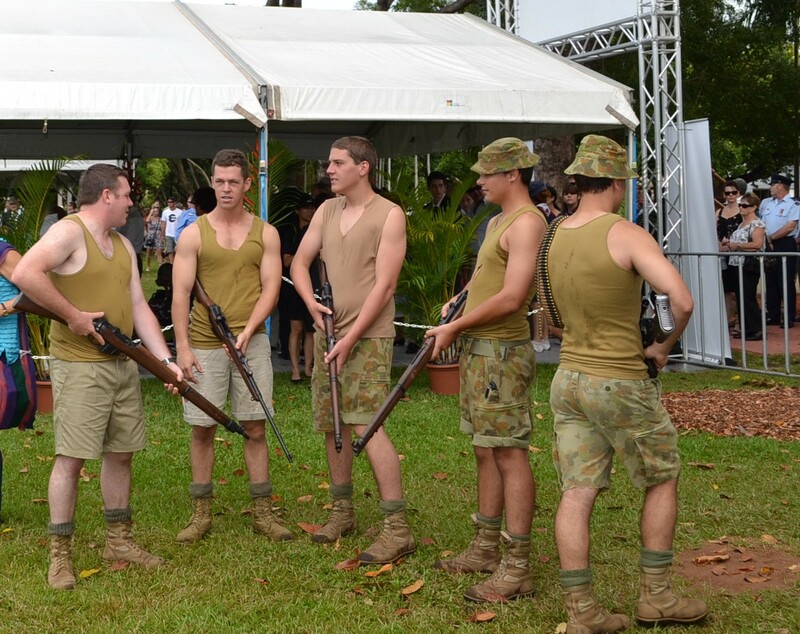 Many of the ANZAC traditions have been romanticised with less than perfect accuracy. As time passes the knowledge and research into our military history has become more mature revealing nuances which weren’t highlighted previously, and showing shadow as well as light. 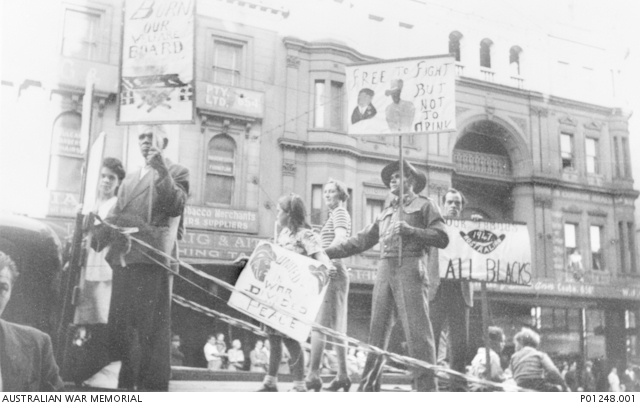 Over the past 98 years Anzac Day itself has had a varied history. When I was a teenager it had lost its lustre, perhaps influenced by our involvement in the Vietnam War. These days it has a total resurgence of pride, aided by more Australia-focused history being taught in schools, rather than mostly the British history of my youth. In this blog over the past weeks we’ve been visiting the diverse and magnificent scenery of the Northern Territory and the top, tropical, half of Australia’s two largest states, Queensland and Western Australia. It’s appropriate today to keep our focus in the area but to look at how Indigenous people served their country during Australia’s war-time history. Traditionally overshadowed by the Gallipoli legend, the service of Australia’s Aboriginal and Torres Strait Islander people has been important in diverse ways. At the time of World War I and II, Aboriginal people were not citizens in their own country, they were not counted in the nation’s census, they could not drink in public bars, nor did they have control of their own money or their movement eg they could not visit their own families at Christmas without the permission of the local Protector of Aborigines, often the local police constable. Men from Melville Island on the Tiwis, who were recruited to help locate downed pilots and aircraft, and monitor the coastline. 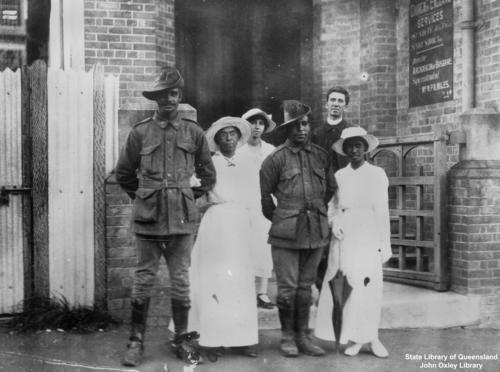 As recruitment commenced for WWI, “full blood” Aborigines were not permitted to enlist as this quote reveals: “This decision definitely [excludes] the enlistment of full-blooded Aborigines, but instructions have been issued to medical officers that in deciding whether or not a person is substantially of European origin, they will be guided by the general suitability of the applicant”. Not only does the quote illuminate a prejudiced and ambivalent attitude to Indigenous recruitment, it reveals how much it depended on a white person’s assessment of them. It also ignored whether the Indigenous community viewed them as being Indigenous, either Aboriginal or Torres Strait Islander. The very ambiguity reveals why some Aboriginal people did manage to enlist and serve side-by-side with their fellow Australians in all sites of war. 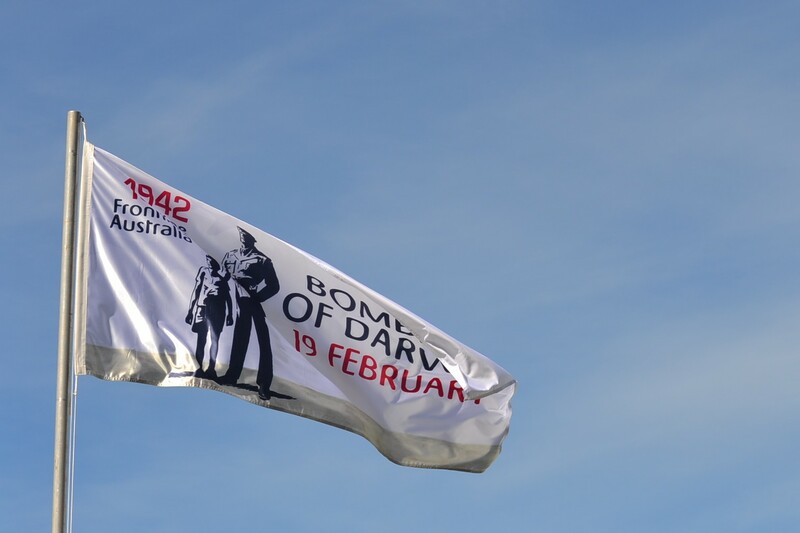 Some 500 Indigenous men were among the 80,000 servicemen in the AIF, and 80 came from the Northern Territory[i]. The wedding of an Aboriginal servicemen in Brisbane 1917. Negative number: 60511 SLQ. The men were Jim Lingwoodock and John Geary. Their brides are not identifed. 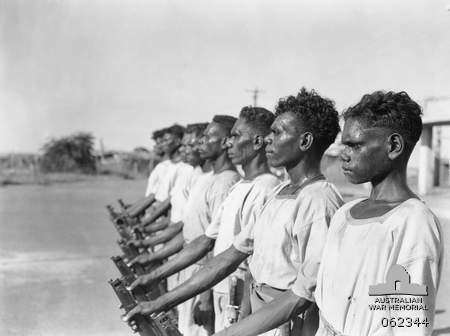 In World War II the situation was similar though the fear for Australia’s northern shores meant that Aboriginal people were also at the forefront of the country’s protection, whether actually serving or not. It was the missionary at Bathurst Island from the Tiwi Islands, about 30 minutes flying time north of Darwin, who radioed the news of the Japanese bombers flying in to bomb the city. . Unfortunately it was regarded as some allied aircraft returning and the warning ignored. 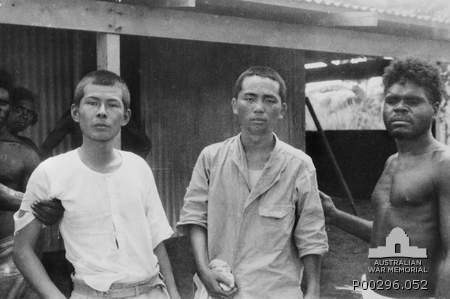 The Tiwis also played a role as the Japanese aircraft returned to their carriers. A couple of Zero aircraft detoured to strafe the Catholic church at Nguiu and also a DC3 on the runway. One crash-landed and it was a Tiwi man, Matthias Ungura, who captured the first Japanese Prisoner of War on Australian soil, Hajime Toyoshima, who would later be a key instigator, and die, in the Cowra POW breakout. 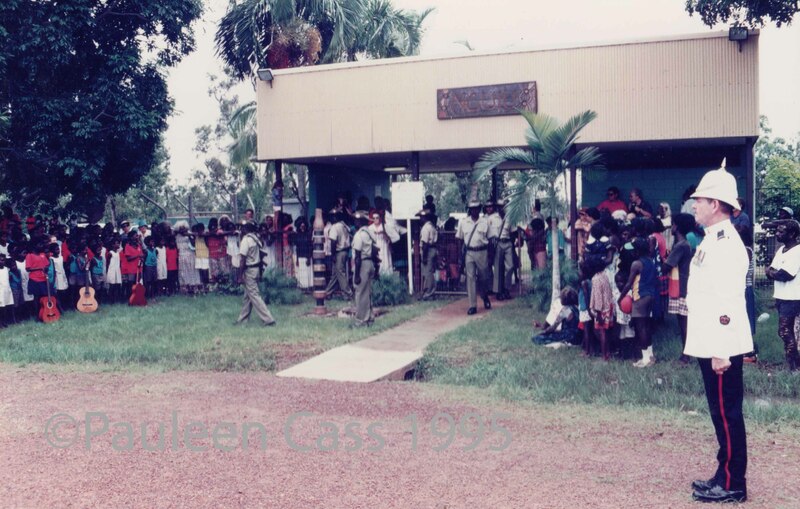 To this day the Tiwi Islanders commemorate the capture of the POW and their attempt to warn Darwin in time. Although still restricted in their ability to volunteer and enlist, some managed to do so, serving as officers, pilots and naval seamen. 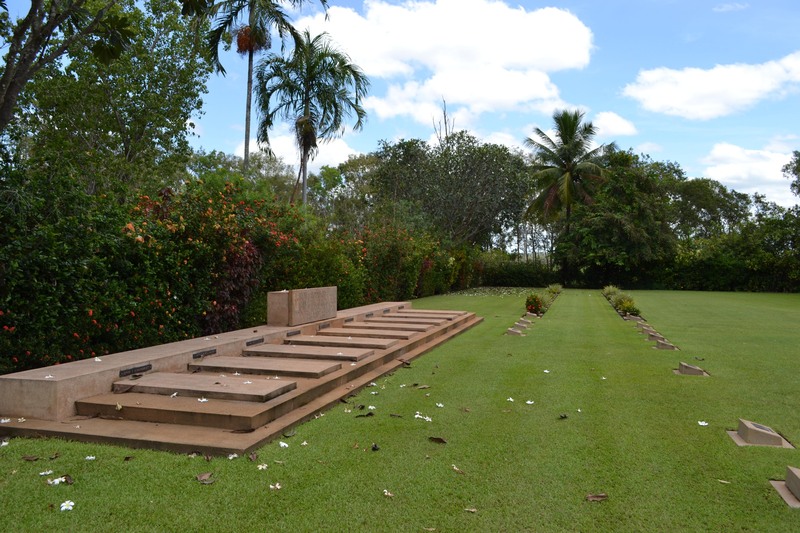 Others worked side by side with the extensive military deployment in the Northern Territory while some performed patrols searching out crashed aircraft and downed pilots, or monitored the coastline for Japanese military and naval activity. Their bush skills and knowledge of country meant that they could survive only on bush tucker and not need a supply line. Some women joined the Volunteer Air Observers Corp (as did my mother in Brisbane) learning to identify aircraft types and monitor the skies for enemy aircraft. 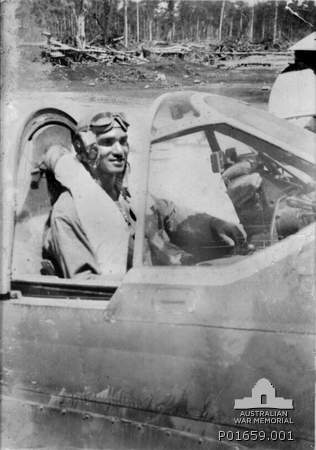 Aboriginal Pilot Flight Sgt Len Waters P01659.001 AWM image. Probably the Indigenous men joined for many of the same reasons as the white volunteers: for adventure, seeing new places and defending their own country. However some would almost certainly have joined in the hope it might gain Aboriginal people citizenship rights on the land their ancestors had called home for over 40,000 years. This was not to be though, because that took another 25 years to come to pass, and it was not until the 1980s that they gained the back-pay they were due to put them on parity with their military peers and also official recognition of their service. They returned home to the disenfranchised condition they had left, with few job opportunities, and extensive racial discrimination. Like their peers they had to face their wartime demons on their own –they couldn’t even go to the bar and have a drink with their former colleagues on Anzac Day, a traditional opportunity for the servicemen to re-bond and talk frankly among themselves, and have an equally traditional game of two-up. 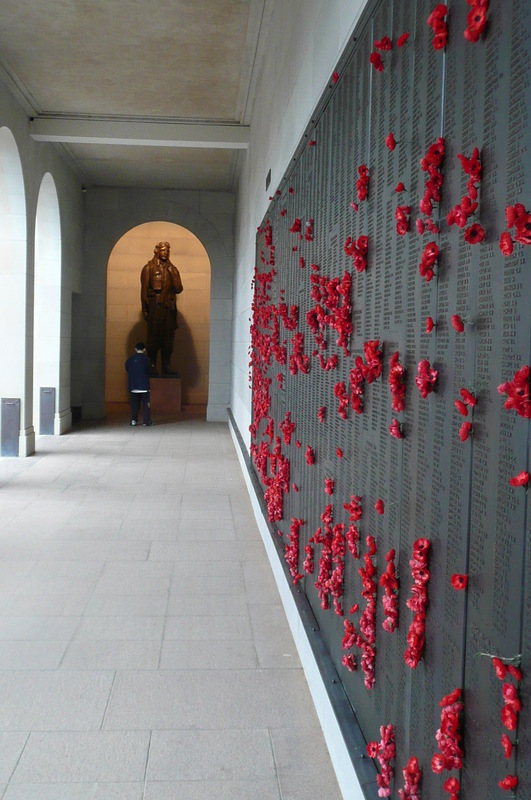 The Australian War Memorial gallery of names. The more you read of our Indigenous history, the more you appreciate why we have such a comprehensive social problem which seems almost unable to be resolved. As I’ve prepared this post I’ve come to realise just how paltry my own knowledge is, so my goal is to read more around the topic. This is the first stanza of a poem called Black Anzac by Cecil Fisher. Then went overseas to fight at Gallipoli and Tobruk. This Anzac Day, please remember our Indigenous servicemen who gave their lives, and their courage, to make life better for others. 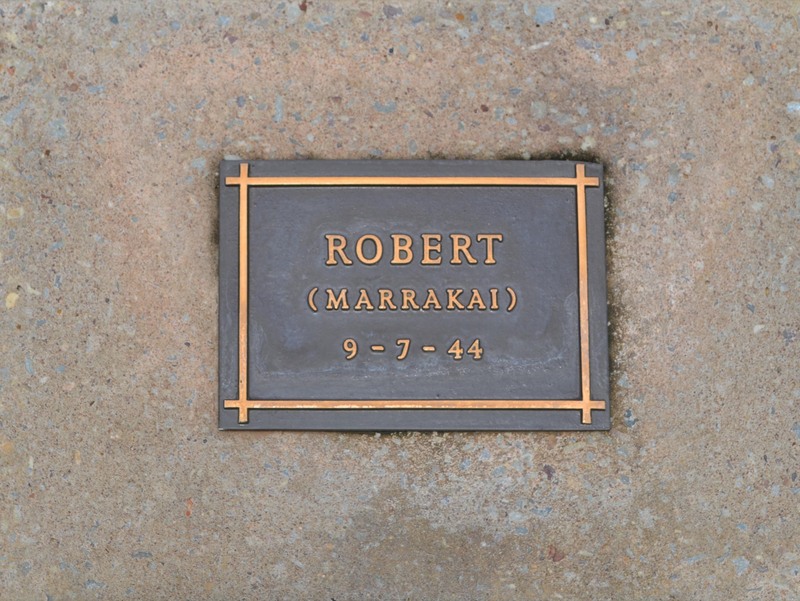 [i] This story has been greatly assisted by a teaching resource Indigenous Service, a collaboration between the Department of Veterans’ Affairs and the Melbourne Shrine of Remembrance. It draws on an exhibition held at the Shrine in 2009 called Indigenous Australians at war, from the Boer War to the present. [ii] Smith, Heide. Tiwi: The life and art of Australia’s Tiwi People. Edition Habit Press, Adelaide, 1990, page 25. The Australian series of Who Do You Think You Are? have two excellent shows on Indigenous Australians, Olympic runner Cathy Freeman and footballer Michael O’Loughlin. Both were amazing for revealing what life was like for their Aboriginal ancestors, as well as their ANZAC heritage (Cathy Freeman) and cultural foresight (Michael O’Loughlin). 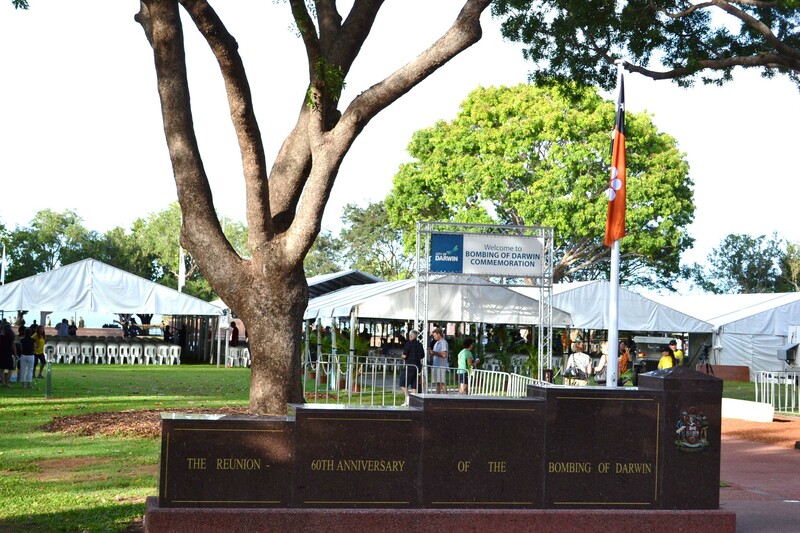 Remembrance Day 2012: Honouring the Australian-born Diggers with German ancestry. The Battle of Milne Bay remembered in stained glass. Verbal diarrhoea: talks non-stop/doesn’t know when to stops, blathers on “That bloke’s got verbal diarrhoea, you can’t shut him up”. Happy little Vegemite: after an iconic advertisement for Vegemite – many Australians’ favourite sandwich spread. Expats have been known to get very desperate for a “fix” of vegemite. A happy little vegemite indicates someone is “as happy as Larry”, presumably because they’d had their Vegemite. We’re back on the road in Central Australia tomorrow. Today’s focus is on the civilian deaths in the Post Master General’s (PMG) Department on 19 February 1942. 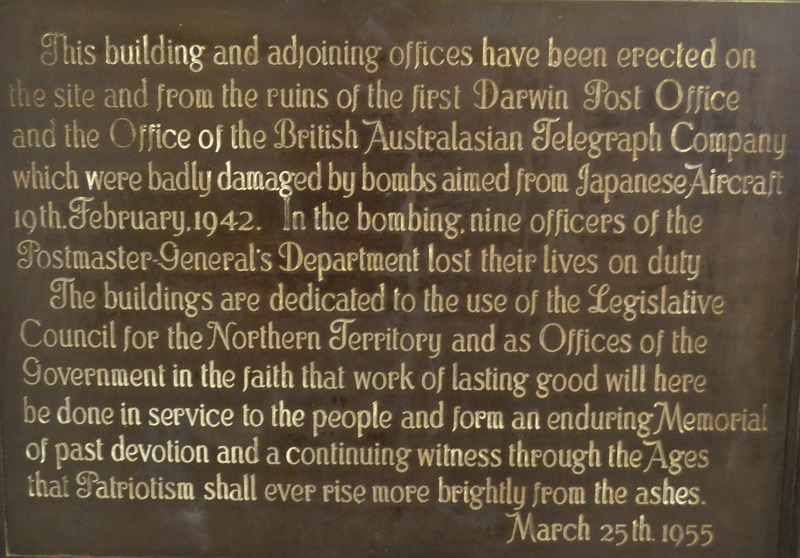 The Darwin Post Office was essentially destroyed in the bombing with the loss of nine lives (another victim died on board the hospital ship Manunda). Those who lost their lives were the Postmaster, Mr Hurtle Bald; his wife, Mrs Alice Bald; their daughter, Miss Iris Bald; Mr Archibald Halls; Mr Arthur Wellington; Miss Jennie Stasinowsky; Misses Jean and Eileen Mullen; and Mrs Emily Young, all of whom were employees of the Postmaster General. The site of the old Post Office became the site of the Legislative Assembly and subsequently the modern Parliament House building. The heritage of the site is recognised with the above plaque and also a remnant of the original building’s wall in the foyer of the entrance to the Northern Territory Library, unnoticed by many who visit the library. 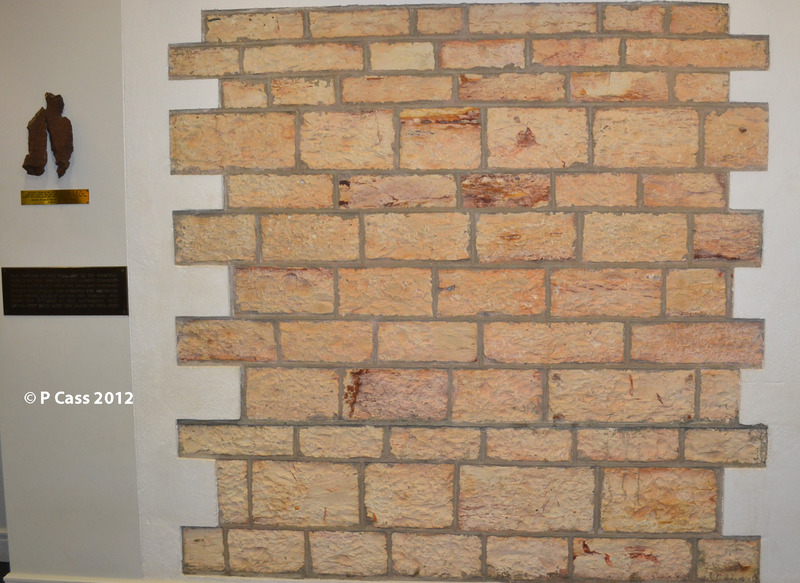 The plaque to the left of the wall reads as follows: This portion of the wall left in its original state is all that remains of the Darwin Telegraph Station built in 1872 when the Overland Telegraph Station was opened. The building was destroyed in an enemy air raid on the 19th February 1942 when ten officers of the Australian Post Office lost their lives very close to this spot. 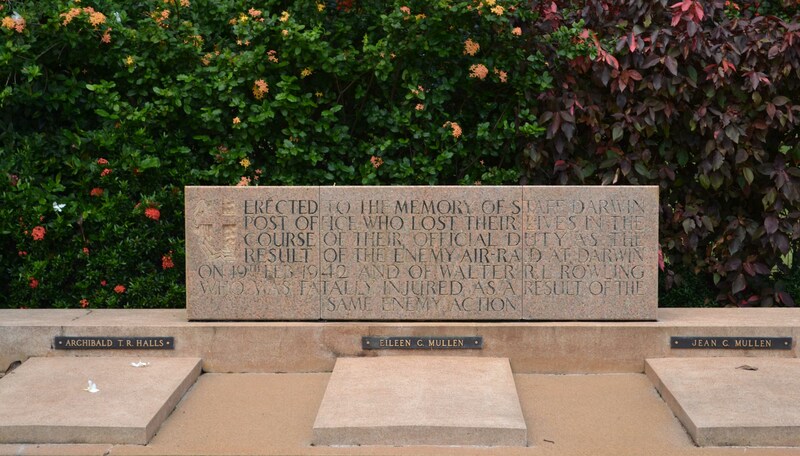 The piece of shrapnel featured was found in the ruins of the Darwin Post Office by Mr Joe Fisher after the bombing. 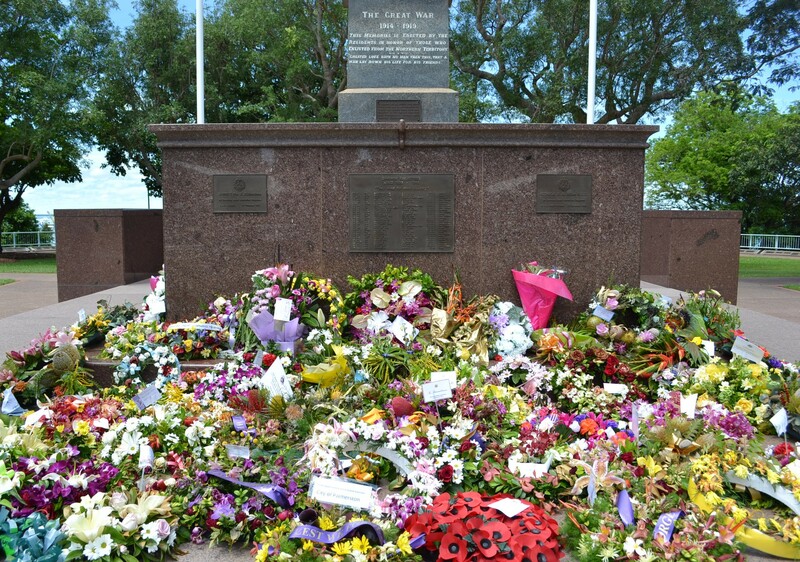 The following image shows the graves and memorial to the nine Post Office employees who died that day, within the broader context of the Adelaide River War Cemetery. Nearby are graves of Indigenous people who were killed during the war, many identified only by a first name or a “surname” associated with a particular place. Over the coming weeks I plan to post some images of Darwin’s Military History which will probably each be called some variation on “Military Darwin”. Darwin remains unusual in the context of Australia’s other cities, with perhaps the exception of Townsville in north Queensland. 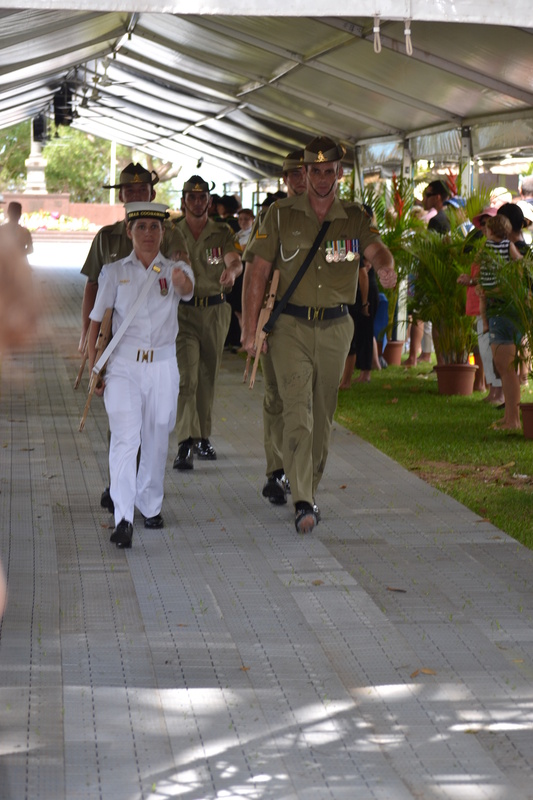 It is common to see Australian Defence Force uniforms around the town on a daily basis, especially at Palmerston. It’s also not uncommon to see military convoys travelling up and down the Stuart Highway. We also don’t immediately think the country’s been invaded when the APCs/tanks are occasionally seen driving down our city’s streets. The Dry Season almost always involves military manoeuvres with other nations’ naval, army or air forces and the sky resounds with the boom of fighter planes and helicopters. In short, the legacy of World War II remains: we are part of Australia’s northern defence. 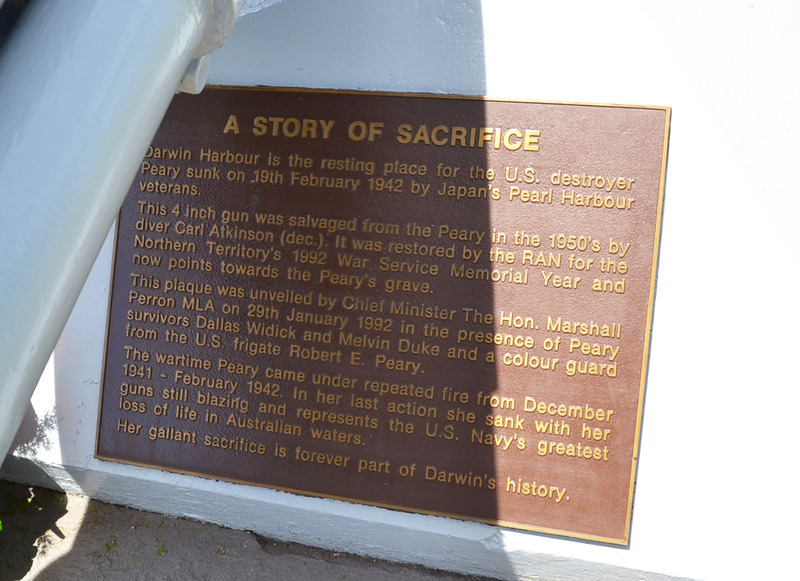 I visited the USS Peary memorial today to take some photographs for my American readers and to pay my respects. 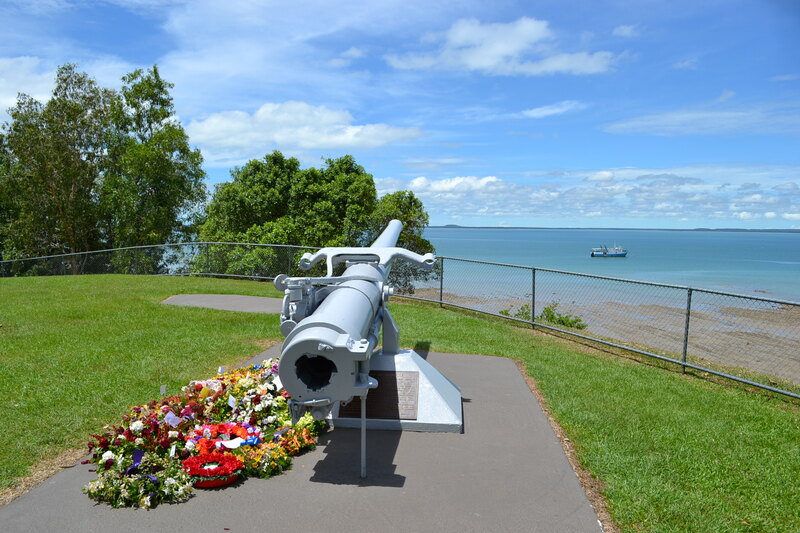 The rescued gun from the USS Peary points out to the now peaceful harbour where the destroyer sank with the loss of 89 lives. 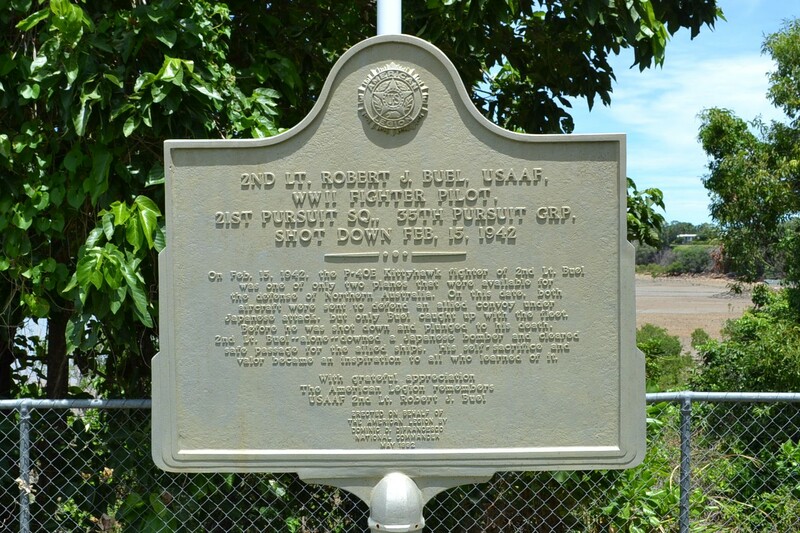 This memorial is adjacent to the Peary memorial. The destroyer USS Chafee is in town for the commemoration ceremonies. This morning I did a quick trip into town to have a look at the memorials and the floral tributes. I was surprised how well the wreaths have held up in the very hot and humid weather, though perhaps last night’s rain refreshed them a little. There were wreaths from the all sorts of people. In the centre here I can see one from the Chief Minister, Paul Henderson, the purple one to the left of the poppies is from the USA and the poppy wreath is from the UK, to single out just a few. 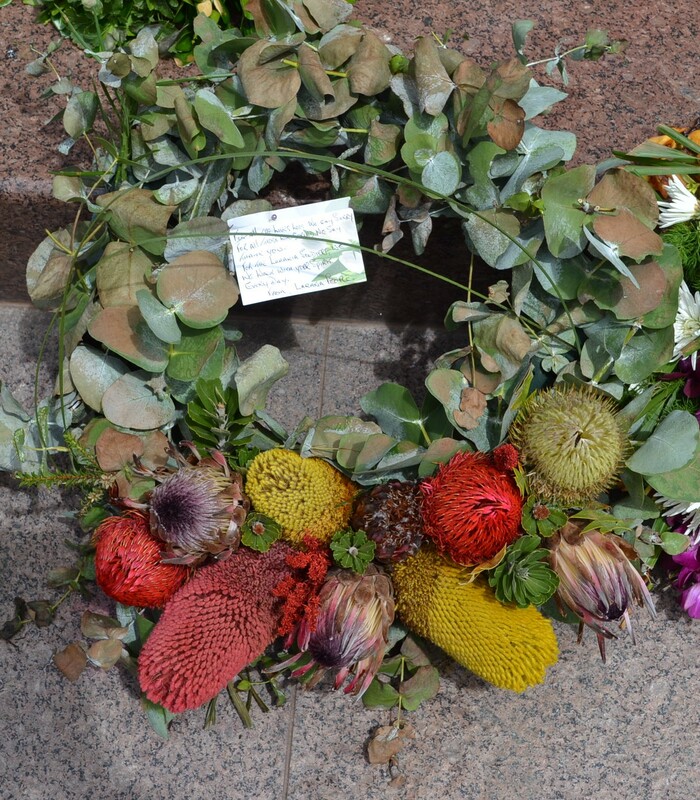 I liked the wreath from the Larrakia people, traditional owners of the land on which Darwin is situated. The card said: For all the lives lost we say sorry, For all those who served we say thank you, For the Larakia soldiers we walk with your spirit every day, From Larakia People. 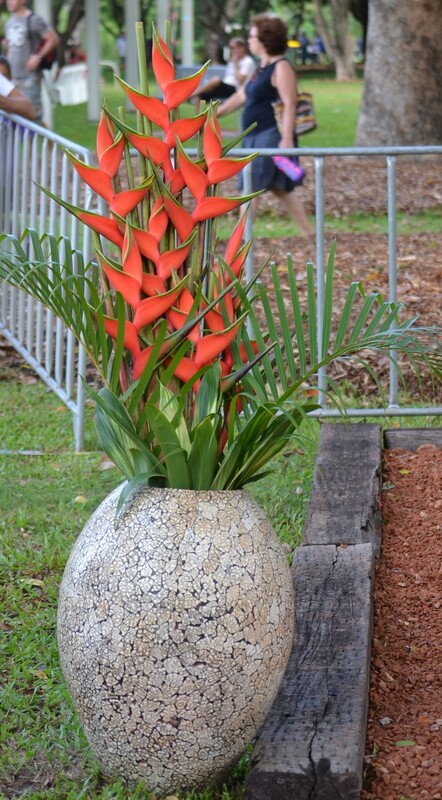 There were also some rather magnificent displays of tropical flowers near the walkway for the special visitors yesterday. I thought you might like too see an example. I try for privacy reasons to keep people out of the frame but in a big crowd it’s almost impossible. On a side note we were impressed with the art work that the NT school students had done to represent the bombing. It’s currently on display at the Chan Building in Darwin, opposite Parliament. 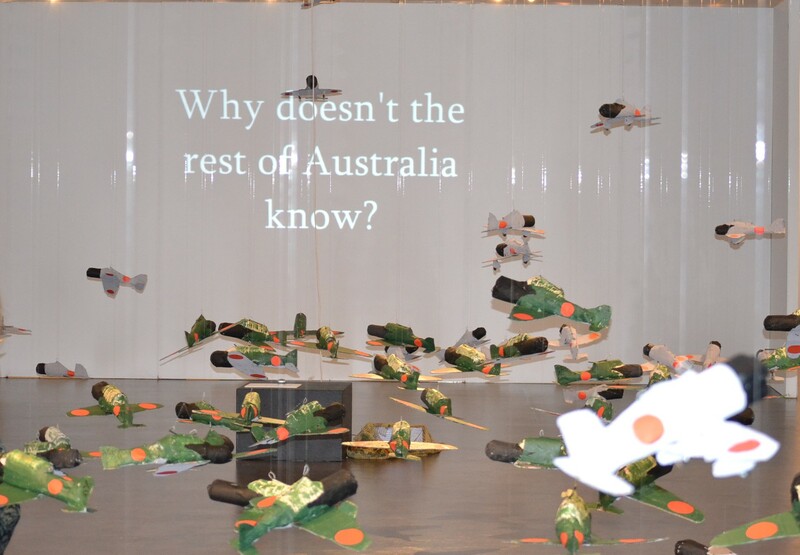 I’m ambivalent about including too much for reasons of copyright, even though there’s no prohibition on photographing the entries which range from a diorama to poetry to photography, or this representation of the massed attack of aircraft over Darwin. This morning’s ceremony was both moving and sobering. However from a photographic point of view not all that easy to represent. General visitors were to one side of the main marquees and a way behind…quite rightly as the priority placement was for the veterans and families and those with connections to the bombing. As a result much of the “action” was seen on the big screen but here are a few photos to give some sense of the day. Unusually for Darwin, people arrived really early (we’re used to getting places 5 minutes before an event!). This photo was taken at 8am when the crowds hadn’t started to arrive. Before the crowds. The seating for 5000 was insufficient. Water, fans and a program were provided to all…a big help in the heat. Three big marquees for the VIPs and two on either side for the general public. These guys were wandering around dressed in laid-back tropical army “uniform” from the 1940s. Needless to say the actual soldiers on duty were dressed rather more formally. ( I do love seeing the Light Horse blokes with their emu feather in their slouch hats). There were also a couple of “1940s nurses” around but I didn’t get close enough to photograph them. Compare and contrast the Catafalque party – not to be envied standing in the blazing sun throughout the ceremony. Or the American sailors who were also superbly turned out. 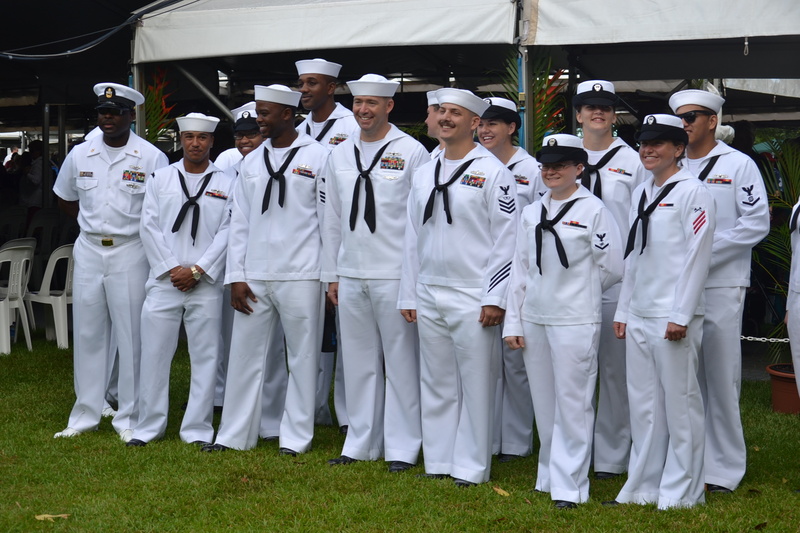 It appears women still love a sailor as a few wanted to have their photos taken with them. (Personally I’m more of a fan of the fly-boys). 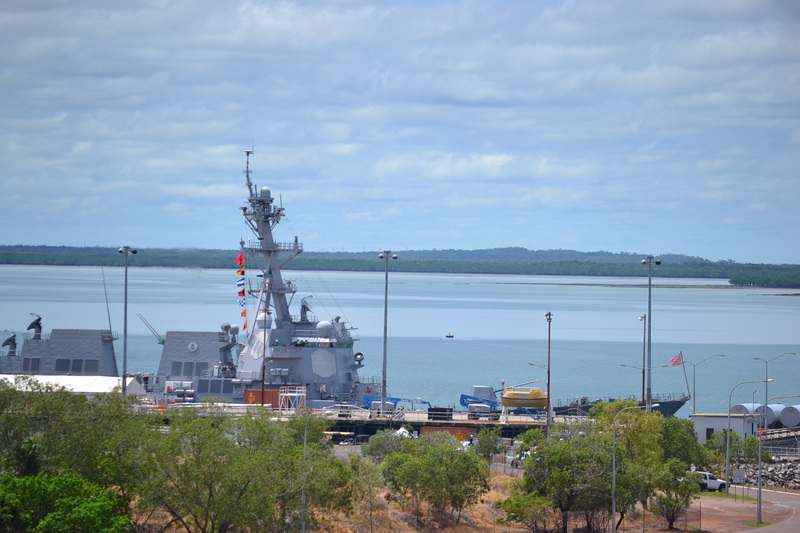 Sailors from the USS Chafee, currently in Darwin harbour. None of us envied Lord Mayor Graeme Sawyer in his Lord Mayoral robes…in the 35C heat! 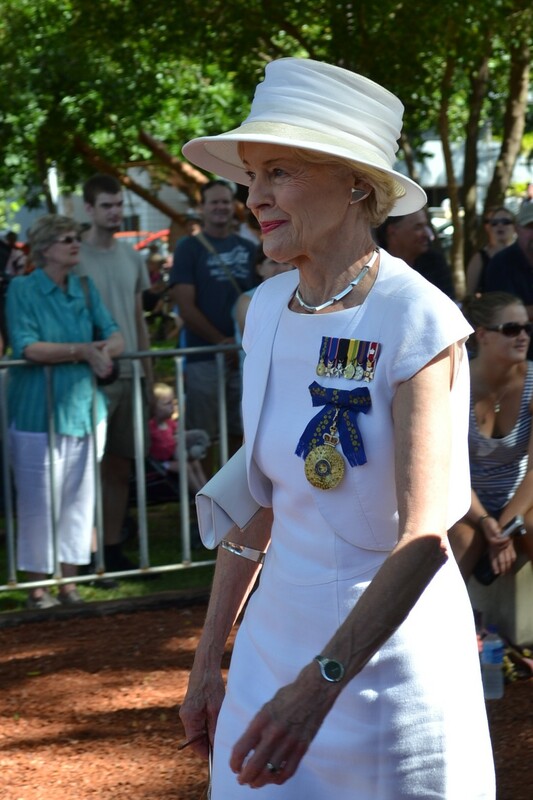 Her Excellency, Governor General Ms Quentin Bryce, looked very appropriately attired for the heat and had her own impressive array of medals and awards. 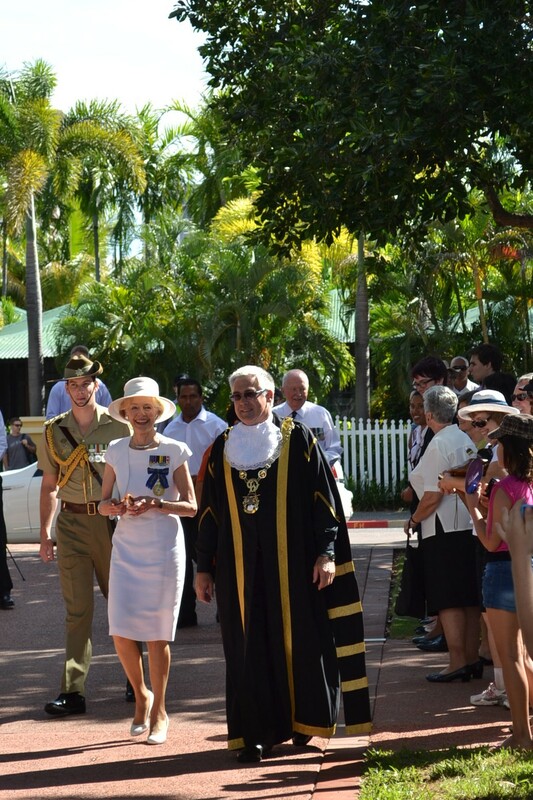 Her Excellency the Governor General Ms Quentin Bryce with Darwin’s Lord Mayor, Mr Graeme Sawyer. 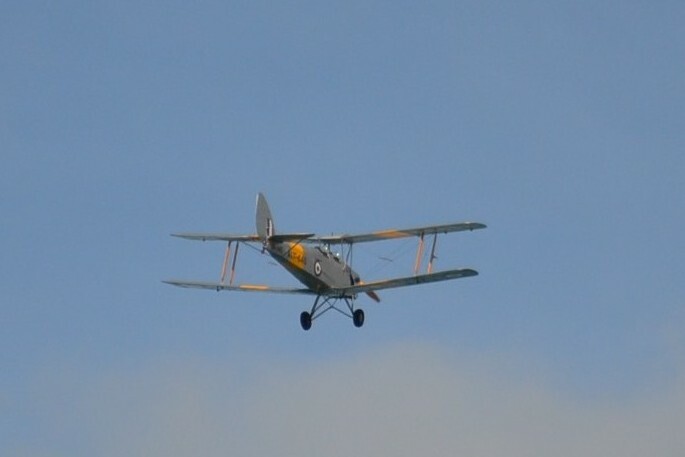 The vintage Tiger Moth flown by local man Greg Hardy delighted the crowds.